Loved by generations, this “simplest Seuss for youngest use” is a Beginner Book classic. See Red and Ned and Ted and Ed in a bed. And giggle as Pat sits on a hat and on a cat and on a bat . . . but a cactus? Pat must NOT sit on that! 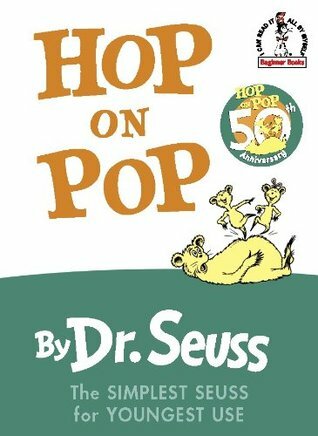 This classic Beginner Book makes an ideal gift for Seuss fans and is an especially good way to show Pop some love on Father’s Day! Originally Loved by generations, this “simplest Seuss for youngest use” is a Beginner Book classic. See Red and Ned and Ted and Ed in a bed. And giggle as Pat sits on a hat and on a cat and on a bat . . . but a cactus? Pat must NOT sit on that! This classic Beginner Book makes an ideal gift for Seuss fans and is an especially good way to show Pop some love on Father’s Day! Originally created by Dr. Seuss, Beginner Books encourage children to read all by themselves, with simple words and illustrations that give clues to their meaning.